There are numerous social channels to interact from, we've broken down the most popular and how you can interact with your audience from them. Different Social channels fulfill different functions, that’s why it’s important to recognise what your strategy is when using them. Here’s a list of the main channels and the best ways to utilize them. We also touch on how the community you’ve built can move to an external channel, building a more direct bond with your audience. Twitter is conversational and allows you to hype up the launch in a genuine way. 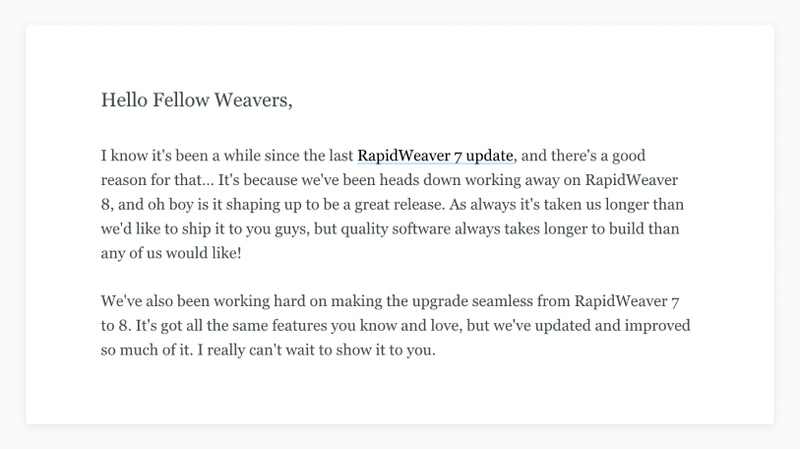 You can send shorter announcements, use the threads to go in-depth about the journey of the product or connect with followers through visual gifs. 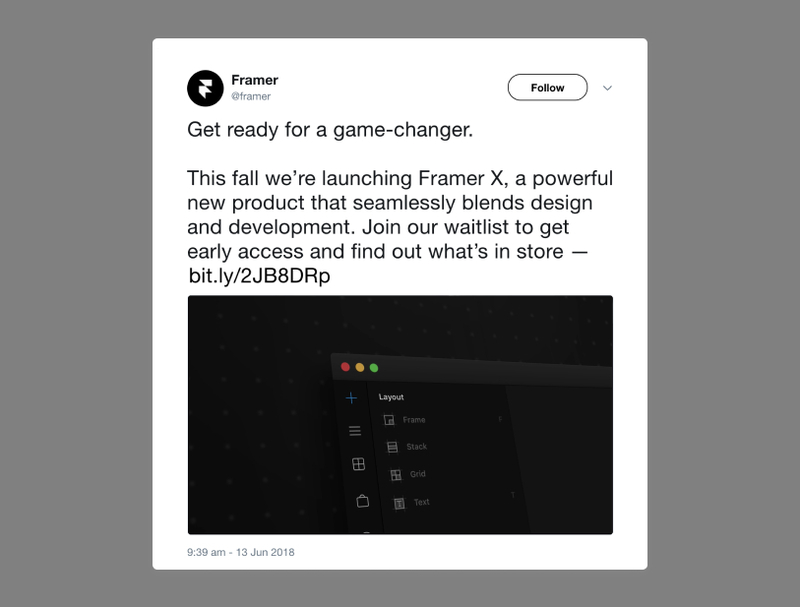 Framer utilizes Twitter well. This is because they’ve learned how to tease updates and give users new content about the product, without bombarding them. By having a passionate fanbase, they’re able to create a dialogue through the content they post. Facebook lets you set up a community, a place where you can offer value to your existing fanbase through funny pictures and opinion polls. It’s not as immediate as Twitter though, so you’ll be fighting through a lot of noise to capture attention on the platform. 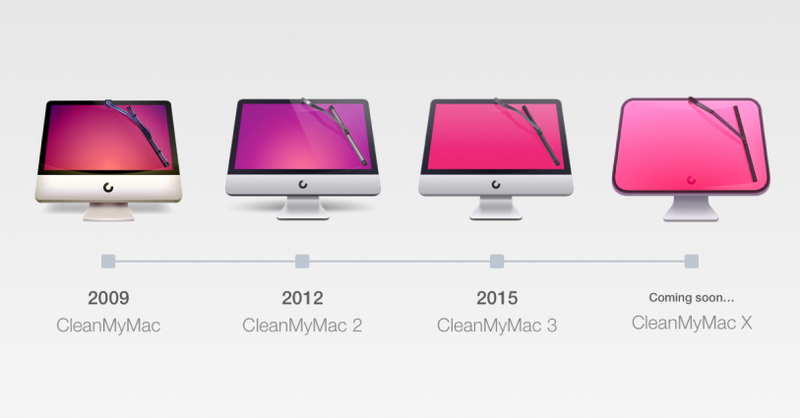 This recent Facebook post by Clean My Mac is a perfect example of shareable content showcasing their product’s development. It allows existing users to comment when they became a fan, but also mention the person who introduced them to the software in the past. 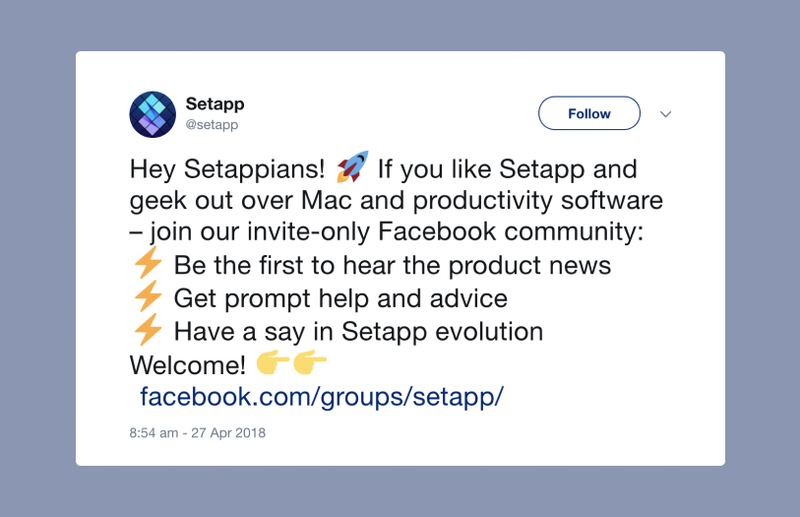 Building on their fanbase; Setapp have created their own invite-only Facebook community, this gives them a place to talk directly to their fanbase. 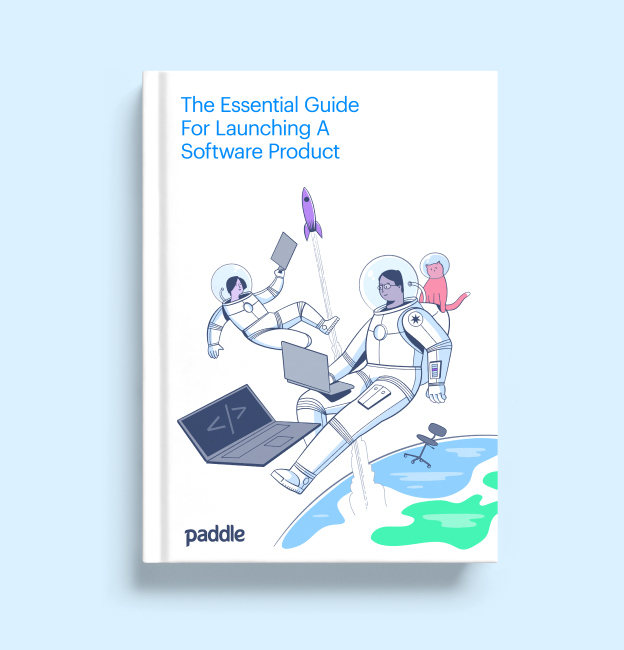 It works as a two way relationship where Setapp able to inform their specially-selected users of product news, whilst their users receive help and advice directly. Because these users are invested in the product and happy to provide feedback, they’d be perfect to offer an internal beta to. Something which we cover in our internal beta guide. It works as a two way relationship with Setapp able to inform their specially-selected users of product news, whilst their users receive help and advice directly. Instagram lets you show off your company’s visual flair, be it through illustrating what people can do with your product, what’s changed with the upgrade or simply showing off your company culture. Brainfever’s visual content works well on the platform, as they’re a design-orientated product that is very shareable. 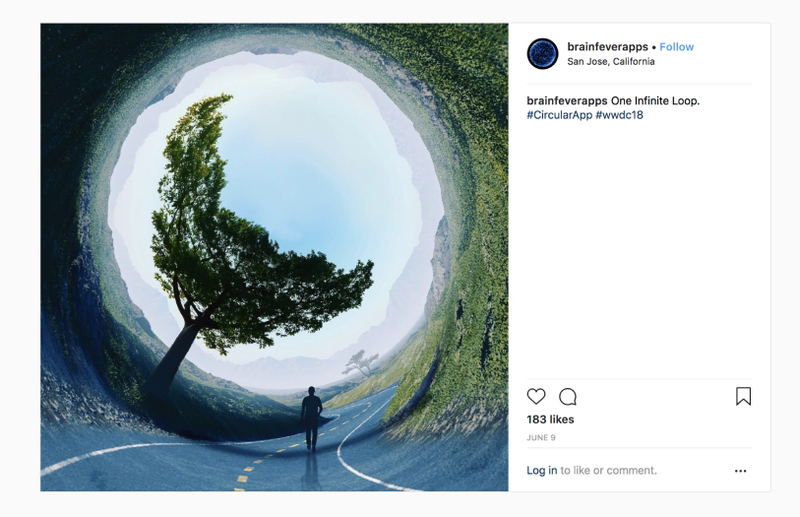 People see the shots taken with their Circular app, and then want to investigate how they can recreate the effect themselves. If your product has a business-orientated audience, then Linkedin is a great platform to engage with them on. You should focus on the value you offer to customers and issues affecting your industry. This lets you build up a following within the Linkedin community. Using B2B/B2C and Niche Channels? This leads us to discuss the big difference in what’s right for you, depending on whether you’re a B2B or B2C company. Certain people see no difference between the personal and professional when using social channels like Twitter, whereas something like Linkedin is more for a professional persona and Facebook is more B2C orientated. Knowing these distinctions allows you to focus on where your audience would be. There is also the consideration of whether to use more niche channels, the audiences may be smaller but you’ll be able to stand out better because your interests would be more aligned. The main social channels are important, but if you see an opportunity to create a stronger community, which can be sustained throughout your launch and beyond, then niche channels may be more for you. 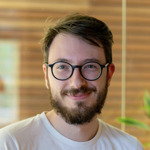 We mentioned how Setapp built an invite-only Facebook community for their users, well Folivora are a perfect example of someone who’s brought this idea one step closer, by bringing things further in-house. Folivora built a organic forum based around customization. This community gives their users a space to share preset themes they’ve created with others, which brings further longevity to the product’s lifecycle. Similarly, Realmac post on their community forums to hype up their new launches. This gives their dedicated fanbase a chance to read about the launch first, and answer any questions that they didn’t have space to answer. Through your previous versions you may have got a bit of buzz, perhaps with people who have wide influence in your niche. If they’ve enjoyed using your product, now is the best time to get them to shout about it to their social followers. You’ll have to first think about the kind of platform you want to involve them in; do you want them for a sponsored blog (either on your or their blog), to be featured in a case study or have them just post a number of social media posts shouting you out? Depending on how vocal they’ve been about your product in the past, here’s three types of influencers and ways you can outreach to them. If you’ve had direct contact before, through them positively shouting out your product and communicating to you the benefit for them. You should encourage them to help you during the launch, providing them with your release information and perhaps the internal beta for them to test for themselves. This strengthens their recommendation if they can demonstrate what they love about your product. Using this they’ll be able to talk about your product on social media, in the same tone, this time focussed on your newest upgrade. If they’ve previously complimented your product but not got in touch with you before, then now is the perfect time to outreach to them. Mentioning their previous comments and how now would be the perfect time to work together. If you’re aware of an influencer, who could be closely aligned with your brand’s marketing, then you should reach out to them. Depending on their willingness, you could offer them a cash incentive to further persuade them. You should also look at their level of influence; outwardly as well as in niche communities. This will inform you how wide their reach will be, you should also consider whether this reach has the purchase power of their followers or is just an empty metric. Depending on what territories you’re influencer is based in, they also may need to include a disclosure, only if your influencer has been paid for their post. 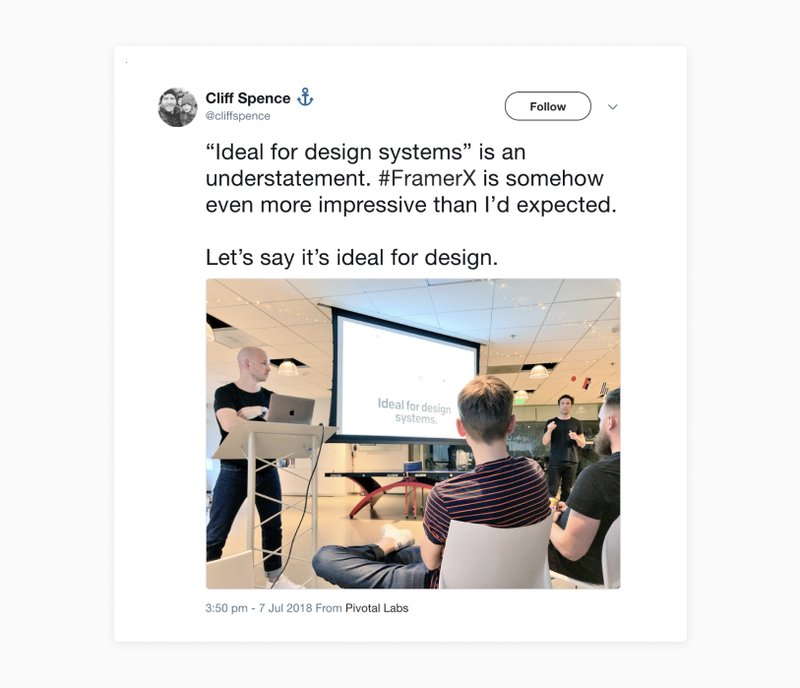 This picture retweeted by Framer is a perfect example, of someone’s convincing recommendation being able to persuade those on the fence about a product. 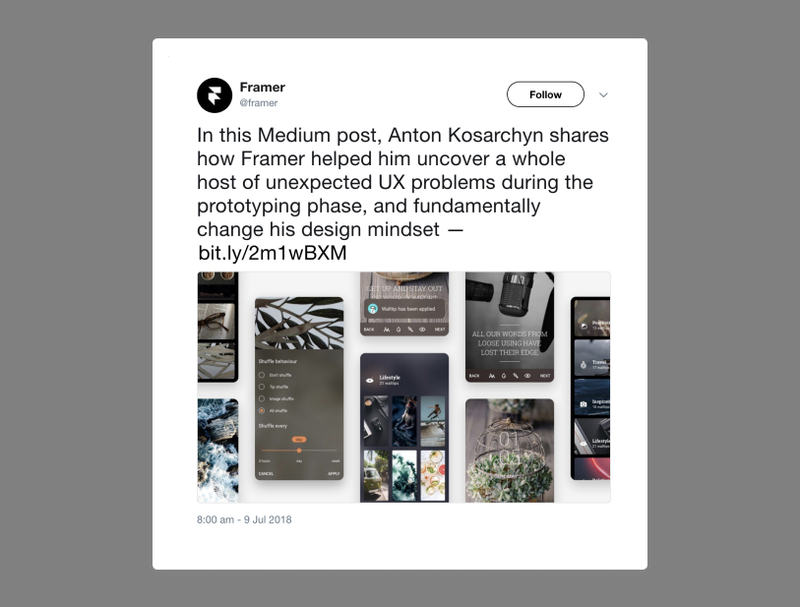 As well as this retweeted Medium post from a Framer user, detailing how the app improved his design mindset. Choosing the right social channel may not be easy, but it should allign closely to the type of audience your product attracts. This will also allow you to build up hype organically for your launch and let your audience promote a product they love!